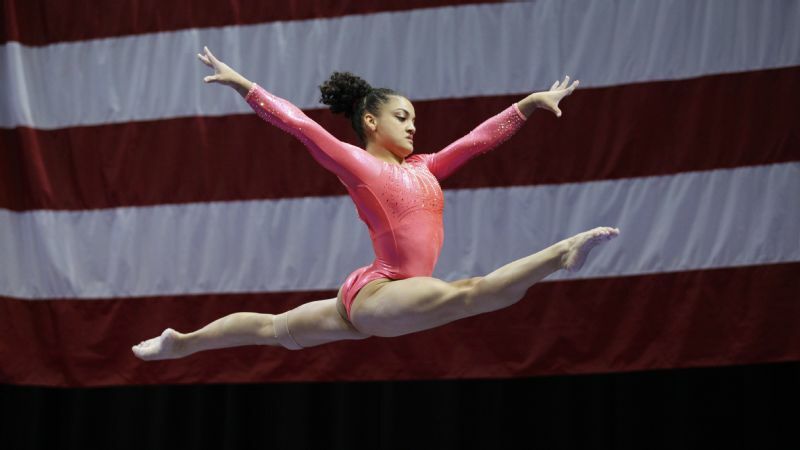 Rio Olympian Laurie Hernandez is training to make a run for the 2020 Tokyo Games. In honor of National Hispanic Heritage Month, Erika L. Sánchez writes a tribute essay to Olympian Laurie Hernandez. 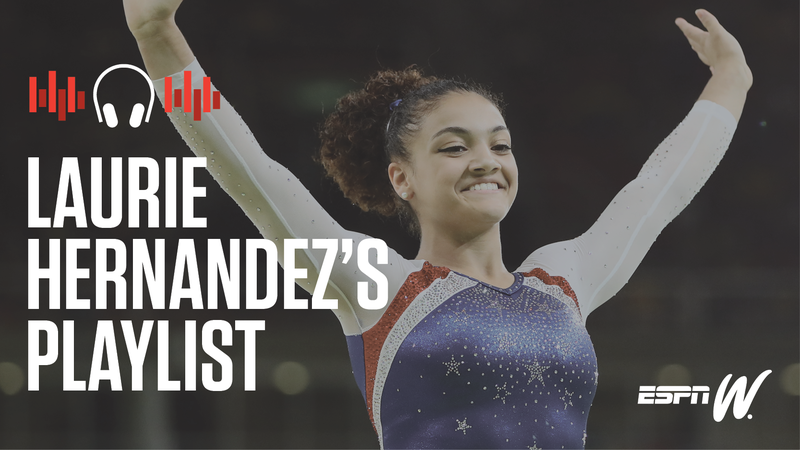 This summer the Olympics in Rio gave us the gift of Laurie Hernandez, the vibrant 16-year-old gymnast from New Jersey who won a gold medal in the team event and a silver medal for the balance beam. She's one of the youngest members of Team USA and has quickly become an international star and a role model for girls everywhere. I don't think I've ever seen a young Latina receive so much love and praise, and it's been incredible to watch. Hernandez, of Puerto Rican heritage, has been honing her gymnastic skills since the age of five. Her dedication to her sport is palpable in her graceful powerful movements. She exudes a confidence on the floor that is, unfortunately, rare for a teenage girl. It's taken me a lifetime to be that self-assured. When I was Hernandez's age, I never saw anyone who looked like me on TV, let alone in sports. I was uncoordinated and dreaded any sort of physical activity. Part of my hesitation stemmed from the discomfort I felt with my own body. Like many young women, I was embarrassed of simply existing, of being me. That's why I'm so encouraged when I watch Hernandez. I lament that I didn't have that kind of poise and determination, but I'm so grateful that she can influence future generations of young women. Unfortunately, brown girls are often discouraged from exercising outside because it's considered masculine. My grandmother, for instance, once called me marimacha, which roughly translates to butch, simply because I liked to play outdoors. Instead of getting involved with after school activities, young Latinas are often obligated to do chores or take care of their siblings. Their responsibilities primarily reside in the home, and it's considered indecent to be out "in the streets." Despite the discouragement I received from my environment and my own self-doubt, in seventh grade I decided to join an after-school volleyball league. Initially I was proud of having challenged myself, but I regretted my decision as soon as I realized that I was absolutely terrible, incapable of ever getting the ball over the net. My teammates would groan whenever I missed a shot. Then, as a freshman in high school I joined the track team, but quit after a few weeks because I was so slow my races didn't even count. I felt like a failure and decided I wasn't athletic, that it wasn't a part of who I was. Hernandez is the opposite of my younger self, and that is so refreshing to me. Not only is she athletically talented, her exuberance and sunny disposition add to her extraordinary presence. It's no surprise that her nicknames include "Baby Shakira," and "Human Emoji." She moves with personality and attitude. In addition to her gymnastics career, Hernandez is also a skilled dancer, performing flawlessly on "Dancing with the Stars." It's motivating to watch her move her body with such joy. I spent so much of my youth shrouding myself and grappling with depression that it's heartening to see a young woman who isn't afraid to celebrate her own talent and physique. I'm now in my 30s and am so thrilled to see that times have changed for young girls of color. Latinas have become more visible in media in general, and the Internet has made it easier for girls to pursue their interests and find positive representations of themselves. Though she is much younger than me, I consider Laurie Hernandez a role model. She is the embodiment of "Brown Girl Magic." In an interview this summer she stated, "I want to make sure I always show off my smile and have a positive attitude the whole time, whether it's during a performance, practice or doing an interview." This outlook is something we should all try to emulate. I hope that Hernandez will inspire a generation of Latina girls to pursue sports, to become comfortable with their bodies, to experience the exhilaration of physical transcendence. Erika L. Sánchez is a poet, essayist, and fiction writer. She is the author of Lessons on Expulsion (Graywolf 2017) and I Am Not Your Perfect Mexican Daughter (Knopf Books for Young Readers 2017). Her nonfiction has appeared in Al Jazeera, The Guardian, Rolling Stone, and many other publications. She has received a CantoMundo Fellowship, a "Discovery"/Boston Review Poetry Prize, and a Ruth Lilly and Dorothy Sargent Rosenberg Poetry Fellowship from the Poetry Foundation.